From the moment I pulled up to Rene Lecour‘s driveway, we immediately felt comfortable with one another. So much so, that he passed me the keys to his BMW and let me drive it to Taco Bell with his son – mind you we only met a hour or so earlier! I can only talk about him from the moment I met him and our experiences together in Havana, Cuba, with the charity he and his wife Yilka started, Amigo Skate, which came out of a chance trip to Cuba for his son as a graduation present. As big as he looks in stature, his sincerity and generosity is ten times larger. His self-described “love affair with Cuba” has inspired in him a selfless drive to foster the skate scene there, which has doubled since Amigo Skate began. PETE PABON: Your name, where you are from and what do you do? My name is Rene Lecour, I am from Miami, Florida and I am the founder of an organization called Amigo Skate Cuba. What we do is take skateboarding equipment, skaters down into Havana [Cuba] and we try and give away as much as product as we can. We’ve been at it for the last 5 years. We also host events down there, we’ve hosted a tattoo expo/art show, a bunch of skate contests, and we just try and spread the word. Born in Hells Kitchen, NYC. Grew up rambling up and down the East Coast. I currently reside in Kendall, Florida. As a youth, I was surrounded by skate, bmx, and punk rock. Unfortunately, I took none of it seriously as I ended up more interested in drugs and being on the run. Fast forward 25 years. I am a parent and I knew I wanted my kids involved in skateboarding from an early age. Teaching them about the culture reignites my stoke and I started skating again. I got laid off from my job and couldn’t afford to take my kids or myself to the skatepark on the weekends at $10 each. So I worked out a deal trading me cleaning the park for the cost of a 1 day admission for myself and my kids. 8 months later, I was the General Manager at the same skate park. The next year I began organizing skateboard contests and events in Miami Dade County. 3 years later, Yilka [my wife] and I open a skate park management company and eventually work out a deal with the County to run all 5 of their skate parks. After a massive burn out of dealing with a county government that doesn’t understand skateboarding, we closed that business and I turned my focus onto something that I love, which is giving the gift of skateboarding to Havana’s streets and making kids smile. How did you come up with the idea for Amigo Skate? My son was Youtubing different places to go skate for his graduation I told him I’ll take him anywhere that he’d want to skate, I told him to just look for the most epic spot that you could possibly want to skate. He looked at the pyramids, the Great Wall of China, all these crazy places – and then he found a documentary about skateboarding in Cuba called The Cuban Skateboard Crisis and he showed it to me and we automatically knew we were going to go. Obviously you skate and it’s shaped you, is that what you want to give back to the skaters in Cuba? What I’d like to give back, if I could give the skater in Cuba one gift, it would be just to empower them as far as being skaters. They want to be known as good skaters, they just don’t want to be known as these skaters that are struggling. If I can enable them to sustain themselves and sustain the skateboarding community in Cuba without having to rely on outside help, that would be the greatest gift that I could give them. 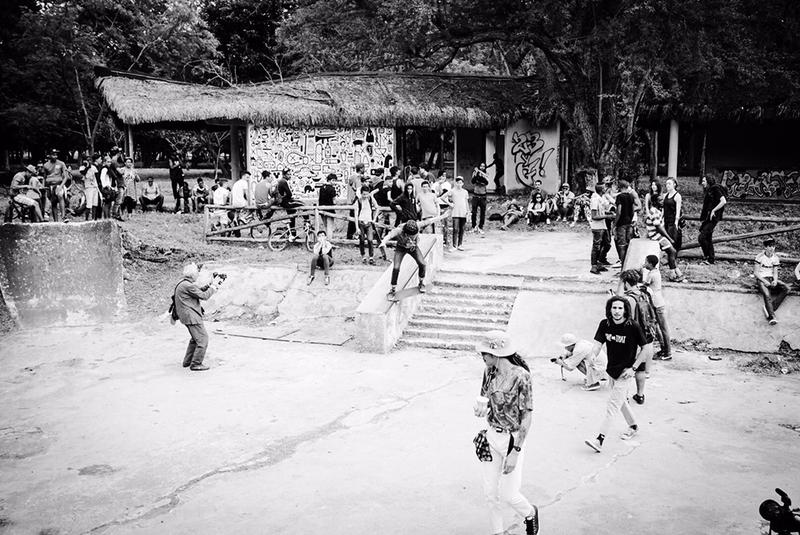 Without getting into specific details for obvious reasons, how have things progress in Cuba for skateboarding? The skateboarding scene has progressing slowly – obviously there a lack of products. A lot of times, breaking your skateboard means that there’s not another skateboard you can skate for months because there’s no skateboard shops or skateboard distributions. Unless someone brings you a skateboard from outside of Cuba, there’s no skateboard for you. It’s a struggle, a lot of the time the guys can’t skate as hard as they want to skate – you know you can be skating hard down sets of stairs and stuff like that, and obviously if you break your skateboard here, you’re screwed. All things considered, they’re still amazingly talented. Yeah, I noticed there’s more of a collective mentality. They definitely lend each other their stuff – I noticed that at the skate park, they shared their stuff, if someone broke their board, he could ask to borrow his friend’s. They seem a lot more hospitable and friendly to one another, at least that was my experience. 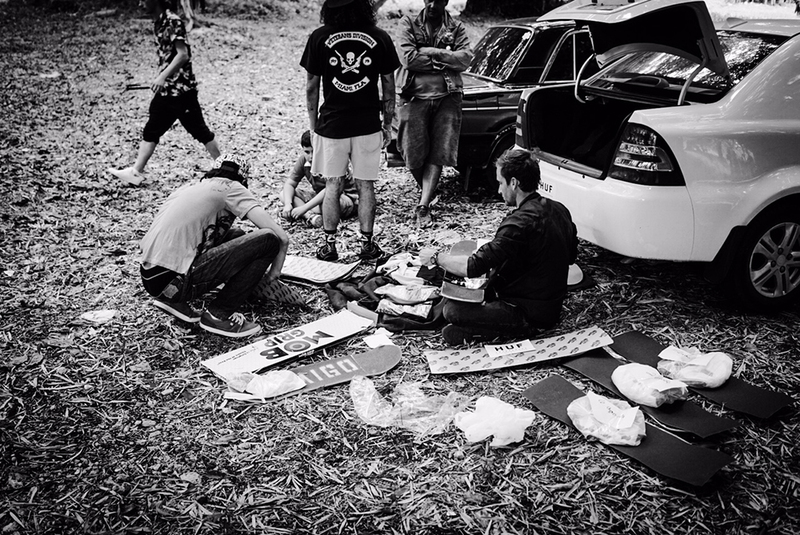 To me, watching them share their equipment, I’ve seen it where they’re filming a trick and they’re using the filmer’s board because it’s the only one left… I know that because I was the one that left the filmer’s board and I was watching the footage and I asked, “Why are you guys riding the same cruiser?” And it was because it was the only board left. There’s definitely a sense of community and brotherhood within the group and I’ve seen times where three guys show up to the park with one skateboard. They’re even like that with shoes, I’ve seen them hold up their friend’s shoe to their feet. Oh yeah, absolutely, I’ve given guys shoes as gift and they’ve looked down at their feet and said, “Nah, my shoes are still pretty good, but come with me and I’ll give them to someone else.” So that happens a lot, they definitely don’t hoard stuff for themselves and it’s a small town, and there’s no skateboarding anywhere, so you can’t really hide anything from your crew. 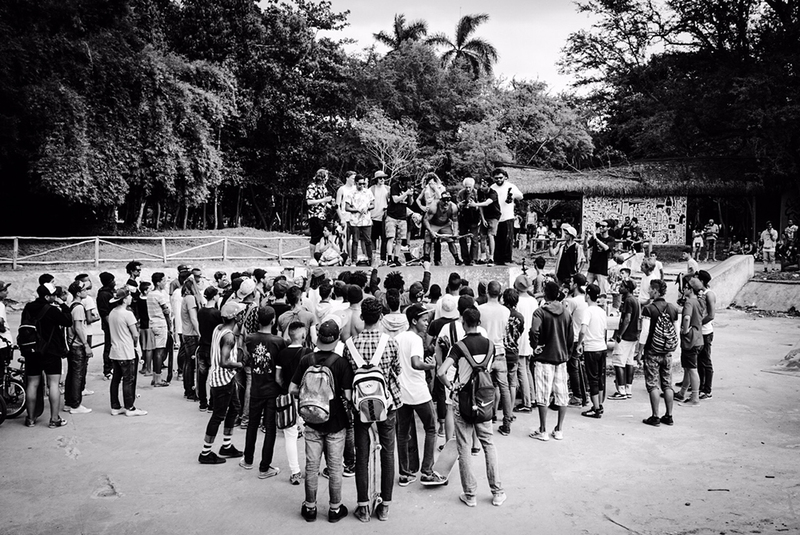 What do you see for the future of skateboarding in Cuba? The future for skateboarding in Cuba is up in the air, I mean, over the last five years I’ve seen changes for the better, but they’ve been slow changes, you know what I mean? Hopefully with our continued effort partnering with friends in Canada and friends in Puerto Rico, we’re going to try and make a group effort to make things change faster. 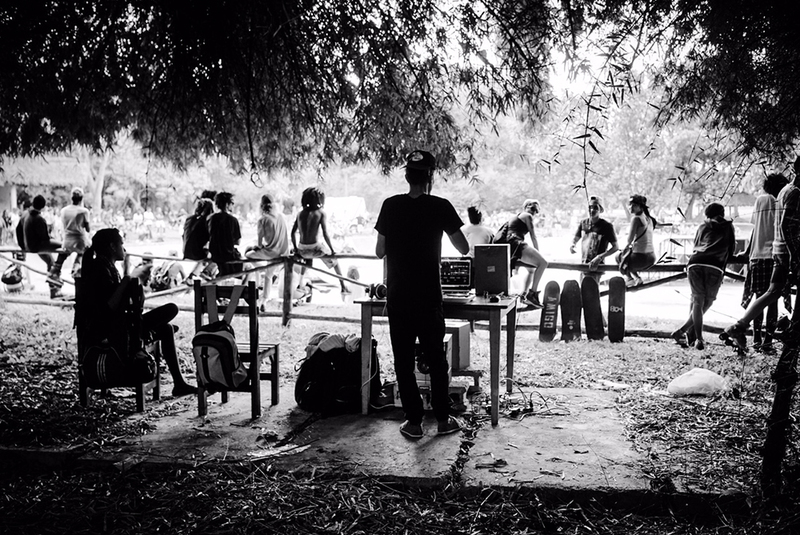 There’s talk of a collective skatepark made in Havana, some national contest we are going to try and host, but the main problem now is get the equipment here and constantly stocking stuff for the guys here, because as much equipment as we bring, it’s like putting a bandaid on a gunshot wound – it gets sucked up automatically. 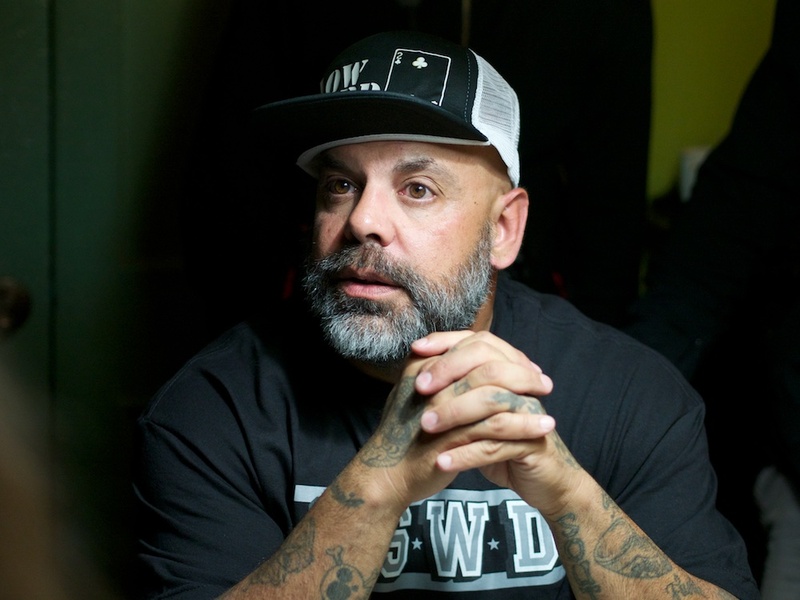 Ché is definitely one of the more pivotal people in the scene here, can you talk about him and how you met him? And your relationship with him? To me, Ché sums up skateboarding in Cuba. When we did the research for our first trip, we’re American, so we start Googling stuff and that name kept coming up and up in all these articles going back to the ’90s, so we knew he was the man in Havana. We didn’t know how to get in touch with him, but we found him when we got here and it was cool. We clicked automatically, and to me, he’s everything that has to do with skateboarding here. He was one of the original guys that started the scene in the ’80s, one of those kids that happened to get a skateboard from a Russian soldier when the soldiers were leaving – some of them left their skateboards. He was also one of the pivotal people in the surf scene as well way back in the day when they were making their own surfboards out of old refrigeration material [Editor’s note: read more about that here] and held it together for thirty years. He’s just a character, like if you took Jay Adams and Mother Theresa and morph them together. He’s got a big heart but he’s super rebellious at the same time, super intelligent, amazing tattoo artist, well spoken, speaks English, speaks Spanish, but a free thinker, so when I leave here, it hurts me because I know he’s kind of stifled. I told someone the other day, it’s hard to be an artist if you don’t have a brush and canvas to paint. Leaving him here – now – is like leaving a family member. It’s been five years of friendship. I definitely bonded with him as well and he is a genuine person. He’s the reason we named our organization what we named it. The first time we met, I looked at him and knew who he was and said “Ché?” And he held out his hand and said “amigo” and we hugged. And that name was stuck in my head and it kind of says everything. The scene is moving forward and the skater are progressing, do you think we’ll see a AM or Pro in the next few years? There can be a AM out of Cuba, but it depends how he comes out of Cuba. I mean if you’re talking about one of the kids leaving and going to another country, I don’t know if that would be a Cuban AM anymore, you know what I mean? It would be dope if there was a Cuban skater that lived here and could be a AM – and it’s possible. There’s definitely not a harder working, gnarlier, balls to the wall, more charging skater than here. They’re not getting sponsored, they’re not going pro, and they’re skating hard ’cause they love it. It’s different. They just skate. You feel you’ve accomplished what you set out to do on this trip? Yeah, I think we did, we had some struggles there for a minute, some hiccups, some issues with the local government, but in the end we did everything we set out to do, we gave out all the product, we had a contest, we got to build some new ramps at the skate park, we solidified our friendship with the Canadian crew we’ve been trying to meet with for the last few years. We’re going to be joining forces now and I think that’s epic. We were here eight months ago and the scene has almost doubled now. Why? I don’t know, maybe it has something to do with us, maybe not, but I see the scene growing and I’m starting to see guys talking about the future again, [whereas] a couple of trips back, that wasn’t really a option. Things are happening where they’re looking to rebuilding the skatepark and looking to create their own goals. We’re talking about finding an abandoned warehouse and putting a bowl in there with the Canadians. So there’s excitement again and be kids are turning this mission into our mission now, you know what I mean? We’re not the outsiders coming in to help, we’re just facilitating things they want to do. Seems the government here is also taking a interest in what you’re doing as well. We been on this mission for five years, doing it illegally to be honest, because we don’t have permission to do anything we do. In Cuba, they know everything once you’re in there, so [the government] reached out to us and asked us to meet up with them. They want collaborate with us on future events, and they know and realize and said it themselves that skateboarding is growing at a pace where they can’t keep up with it. For more info on Amigo Skate & to donate, visit amigoskate.com.